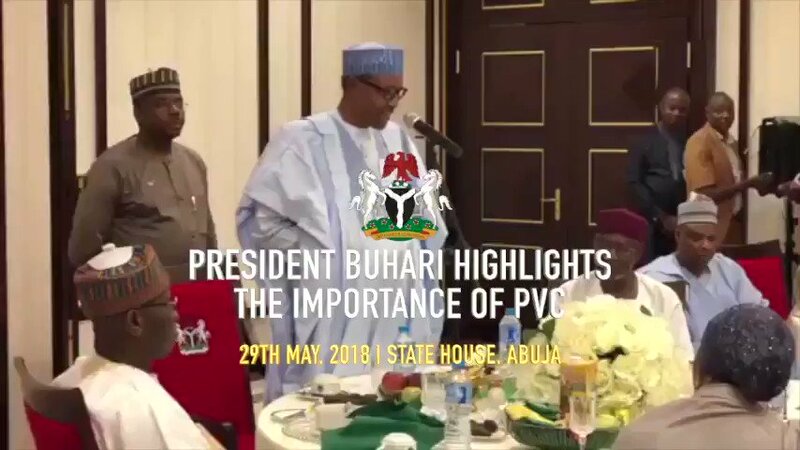 Thread by @NGRPresident: "Our attention has been drawn to incorrect and misleading reporting regarding the status of the Electoral Act (Amendment) Bill, 2018. This is […]"
Our attention has been drawn to incorrect and misleading reporting regarding the status of the Electoral Act (Amendment) Bill, 2018. 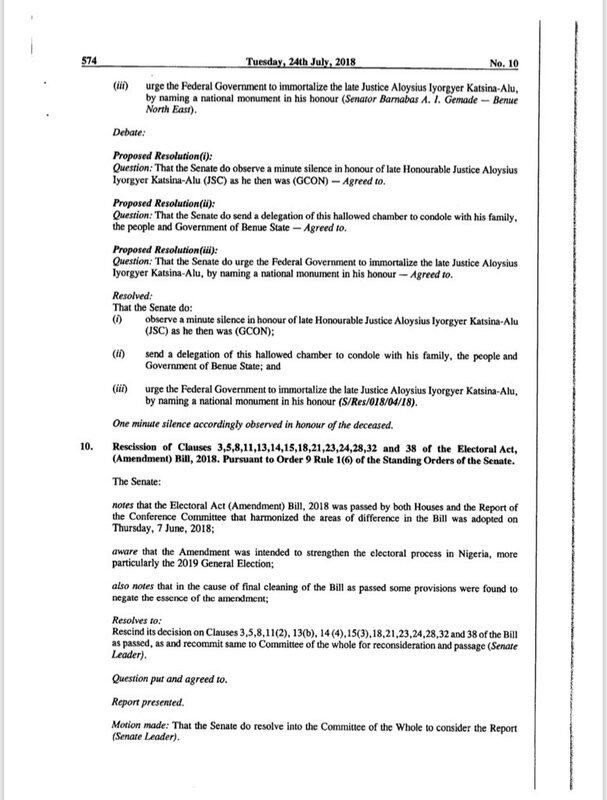 The Electoral Act (Amendment) Bill, 2018 was sent by @nassnigeria to the President on June 27, 2018, for assent. 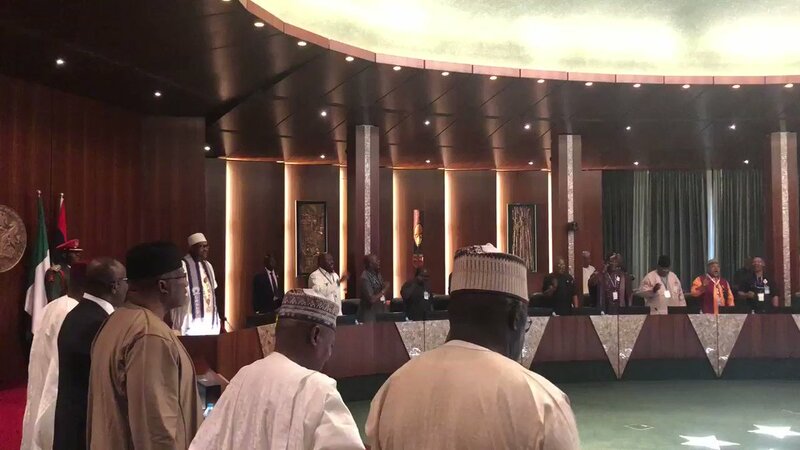 Following extensive consideration of the Bill, the Presidency engaged with the National Assembly to raise concerns regarding technical & legal errors/issues found in the submitted version. Following this, the National Assembly met, on July 24, 2018, to revise the Bill. The Votes and Proceedings from @NGRSenate on July 24, 2018, attest to this. The Senate resolved to rescind its decision on a number of clauses included in the version they had earlier sent for consideration by the President, and to reconsider these clauses. The re-considered Bill was passed by @NGRSenate on July 24, 2018—the same day that plenary was adjourned to September 25, 2018. This revised version of the Electoral Act (Amendment) Bill, 2018, with corrections by @nassnigeria, and dated the 2nd of August, 2018, was received by the Presidency on the 3rd of August, 2018. The President has 30 days from the date of receipt, to assent to or decline the Bill. The Electoral Act (Amendment) Bill, 2018, is therefore STILL under consideration by the Presidency. Also, the allegations that the President declined assent to the Bill because of objections to the use of card readers are wild and baseless. President Trump’s Executive Order on Enhancing Public Safety in the Interior of the United States requires the Department of Justice (DOJ) and the Department of Homeland Security (DHS) to collect relevant data and provide quarterly reports on data collection efforts. THREAD: there is no one way to be a writer, no one way to tell a story, no one way to do this thing we do as a hobby or as a job or as an art form. Some write a little every day, in an office; some write a lot at one time at varying, sporadic points. It's all okay. I think it's important to challenge all pieces of "Known Writing Advice," all those chestnuts of Vital Lore, and to see what they are and what works for you. We all have our own weird fingerprints to imprint upon this thing we do. I think it IS important to talk about the things you do and the processes you use to write and tell a story and to hold them up and examine them -- share them with others, and listen to their ways of doing things, too. (THREAD) It's time to tell the biggest untold story of the 2016 election: how a cadre of pro-Trump FBI agents and intel officers—some active, some retired—conspired to swing the election to Trump. The story involves Flynn, Prince, Giuliani, and others. Hope you'll read and share. 1/ True Pundit is a pro-Trump fake news site that began publishing on June 9, 2016—the day that Donald Trump Jr., Jared Kushner, and Paul Manafort met with Kremlin agents in Trump Tower to discuss the Kremlin's provision to the Trump campaign of incriminating material on Clinton. 2/ True Pundit would quickly reveal itself as having the same agenda Trump Jr. had when he met with Kremlin agents on the day True Pundit launched: its mission would be to destroy Clinton's candidacy by uncovering incriminating material about her—particularly via her emails.